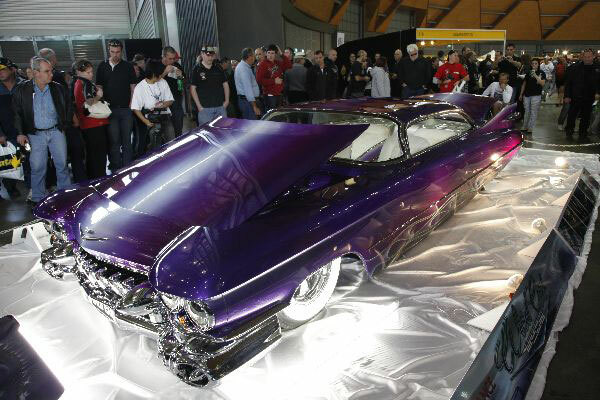 A Custom 1959 Cadillac Coupe De Ville rebuilt by a Harrington Park couple with a taste for the extraordinary is one of only two Australian creations to make the top 50 for the world’s biggest custom car show. 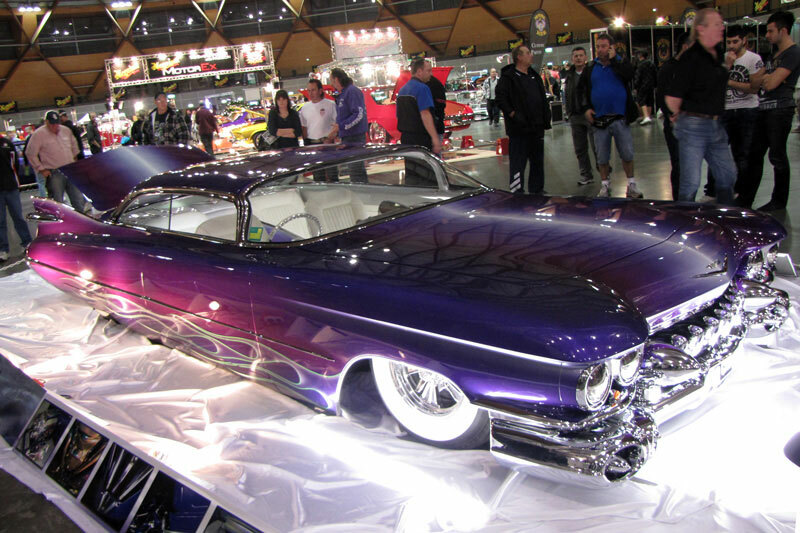 Dubbed Wild Cad, Mario and Catriona Colalillo’s 1955 Coupe De Ville, which they remodelled over six years, is currently on its way to participate at the Showcase of Kustoms Motorama and will also be attending the SEMA (Specialty Equipment Market Association) show this November. 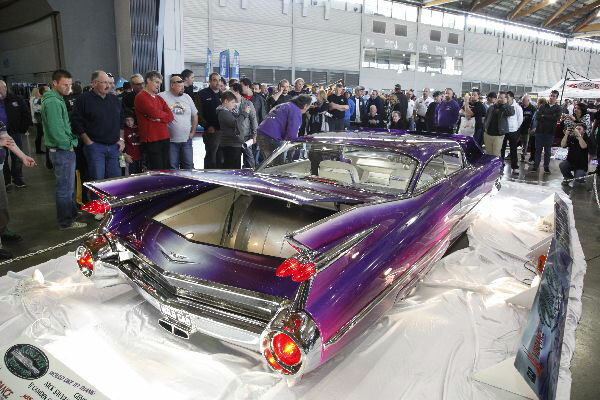 Narellan Vale’s Terry TJ Wood, of Camden County Customs, is responsible for constructing what Mario calls the car’s most unique feature (apart from its paint job). 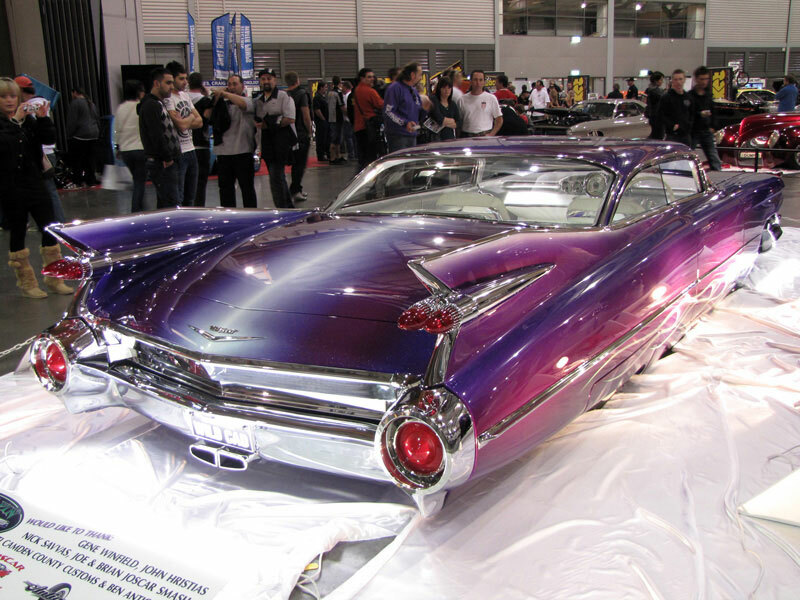 TJ manufactured the chassis in his spare time over three months, installing air-ride suspension that allows the car to hug the ground when on display. 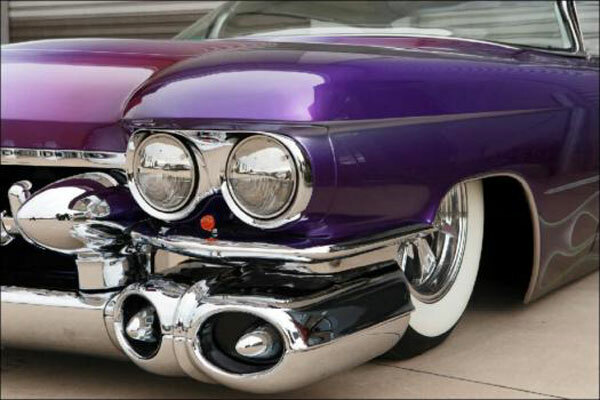 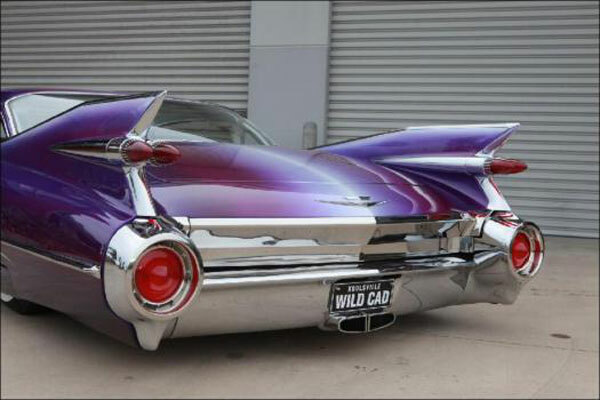 The 1959 Cadillac boasts a 7.4-litre 454 big block Chevy engine powering a Turbo 400 transmission and 9-inch rear end, a ‘55 Desoto grille, and fully exposed chassis rails. 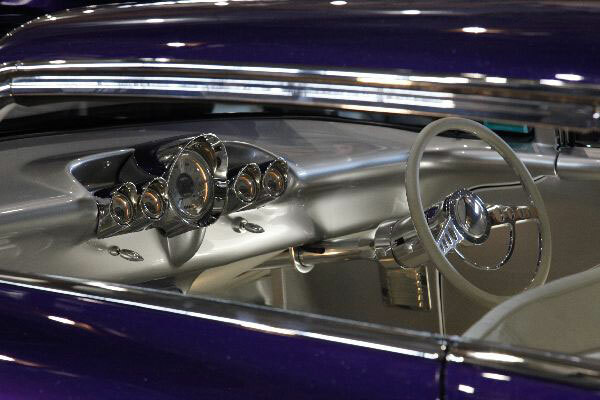 The interior of the Mario Colalillo’s stunning ‘59 Cadillac features Thunderbird seats and a center-mounted ‘59 Chevy instrument cluster. 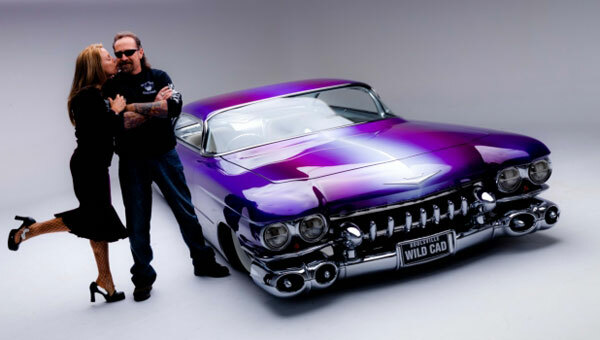 World famous custom car painter 82-year-old Gene Winfield flew from the US to Australia to personally paint Wild Cad. 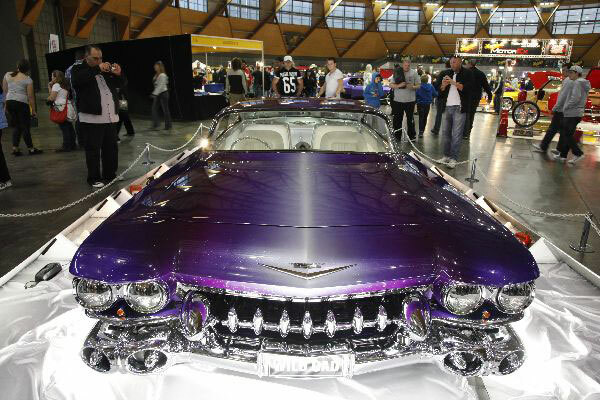 There’s five different colours of unique PPG vibrance range fadeaway paint in a job that Mario estimates costs AU$200,000 (US$177,500) alone. 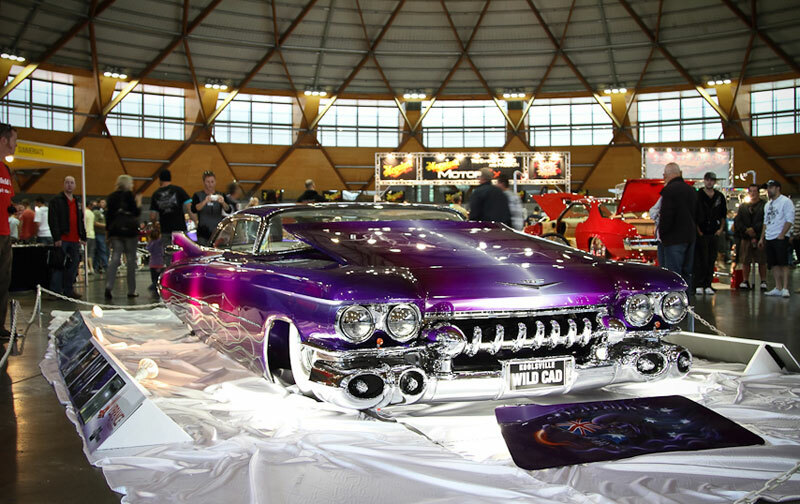 It won the award of Top Custom Car in Australia at the recent MotorEx show in Sydney. 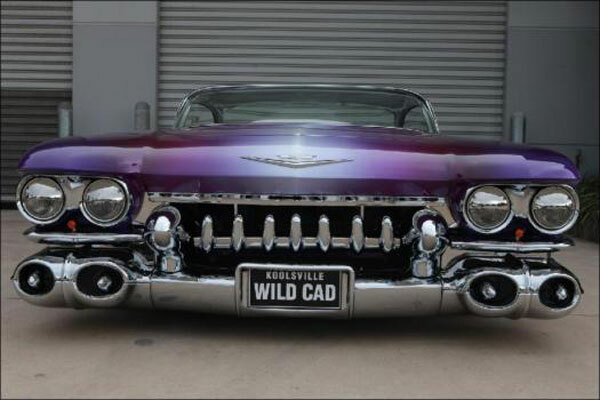 But, WildCad is not just all-show, it also goes. 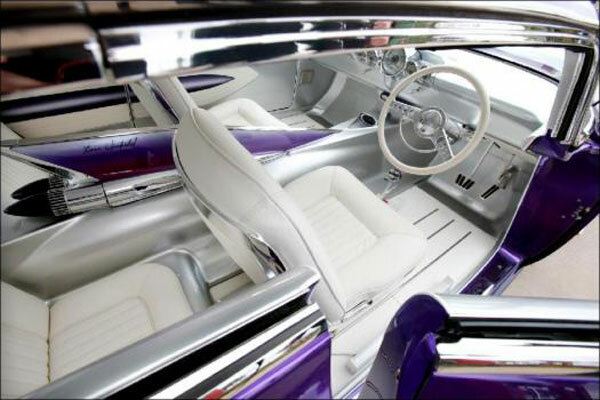 Mario says he has driven it in short bursts and it’s loud and wild. 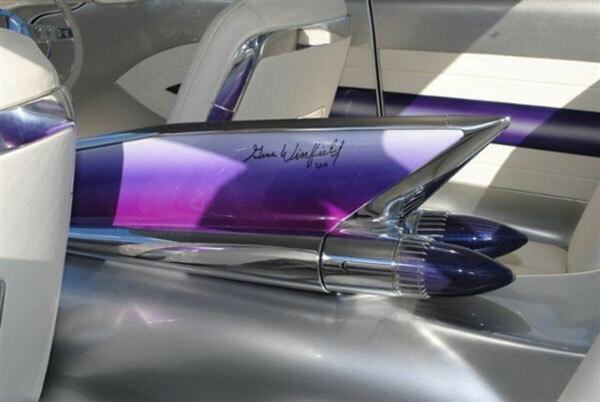 He expects it would reach about 210 km/h but it’s too valuable to find out. 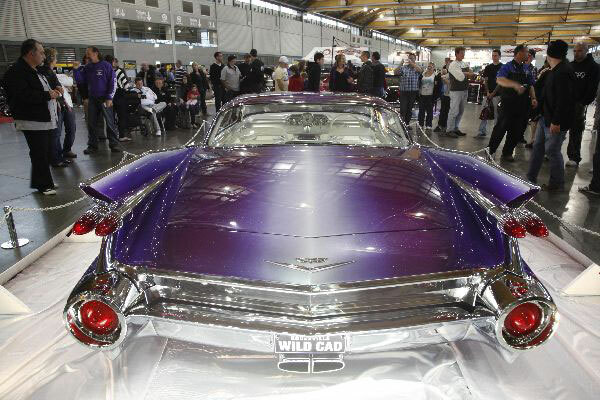 The Colalillos hope to sell the Wild Cad while traveling the custom car circuit, as ZZ Top lead singer Billy Gibbons, basketballer Shaquille O’Neal, and Metallica’s James Hetfield have already expressed their interest in the car.